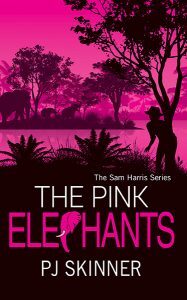 I’m well on my way with book 4 in the Sam Harris Series, The Pink Elephants. Here is a sneak peak of the cover. I hope to place on pre-order shortly. I also wanted to give you a heads up about Hitler’s Finger and The Star of Simbako. These books are now available in KU as well as being for sale. I hope you will give them a try. Hitler’s Finger reached the Semi Final of the Adventure Writers Competition this year.